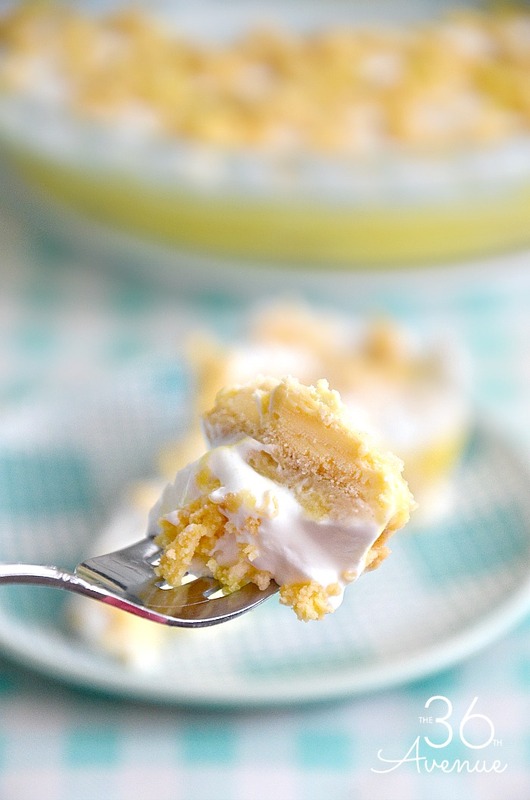 This Lemon Cream Pie is a delicious and easy dessert recipe that your entire family is going to love. Hi beautiful friends! 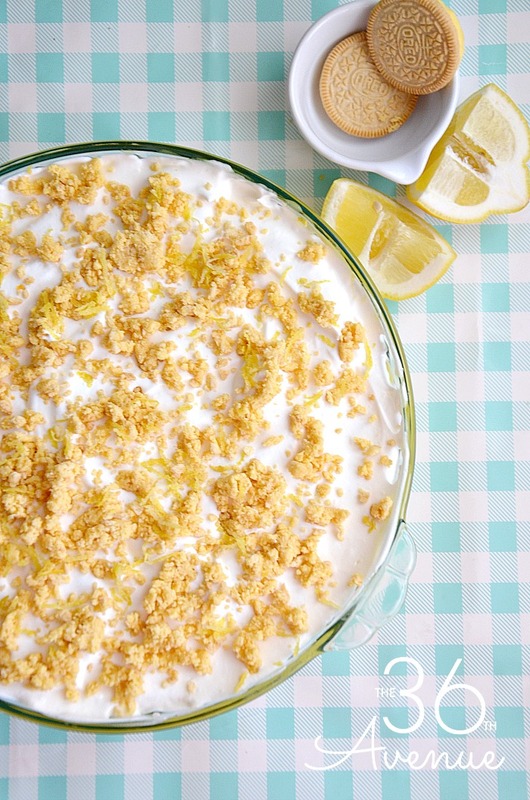 Today I’m sharing a lemon dessert recipe that my family loves and can’t have enough of. Every time I make this recipe I need to make sure I’m the one serving it because if I don’t the entire Lemon Cream Pie is gone in minutes. I love lemon recipes and I especially crave anything and everything lemon during the spring and summer months. 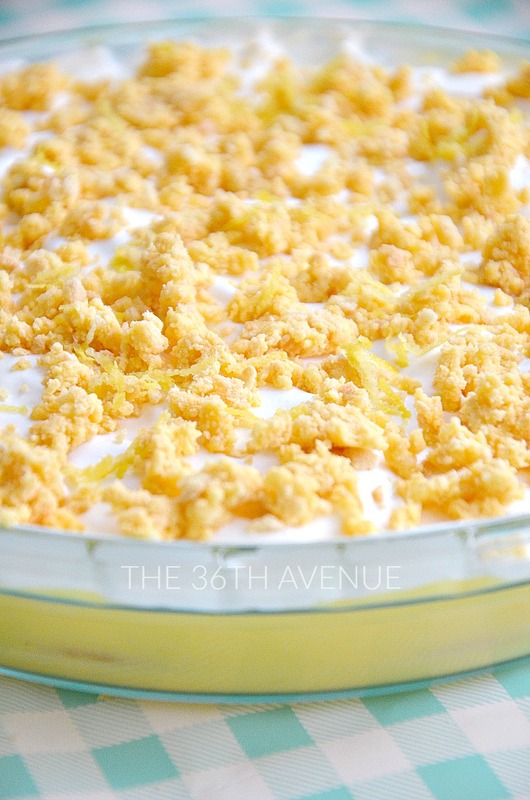 One of my favorite things about this Lemon Cream Pie is the crumbled cookies and lemon zest on top. It makes this pie recipe extra yummy and simply perfect! I prefer making a fresh batch of whipping cream for this dessert but when I’m in a hurry I use whipped topping and it also works great! If you want to save yourself a few calories a fat free whipped topping is probably a great choice for you. I personally love the creamy taste of fresh whipping cream though. Pour heavy whipping cream and sugar into a cold medium bowl and whisk for approximately a minute on high speed. Cover and put in the fridge. Follow the instructions on the pudding box to make the pudding. Next, cover the first layer of pudding with lemon Oreos. You may need to cut some of the cookies in half or fourths to be able to cover the entire surface. Then spread the rest of the pudding on top of the cookies. Cover the pie and put in the fridge for at least an hour. Crumble the remaining cookies in a small food processor. If you don't have one put the cookies in a zip bag and smash them until they crumble into small pieces. Put aside. When you are ready to serve spread the whipping cream on top of the pie. Top with the crumbled cookies and lemon zest. I dare you to have just one bite. 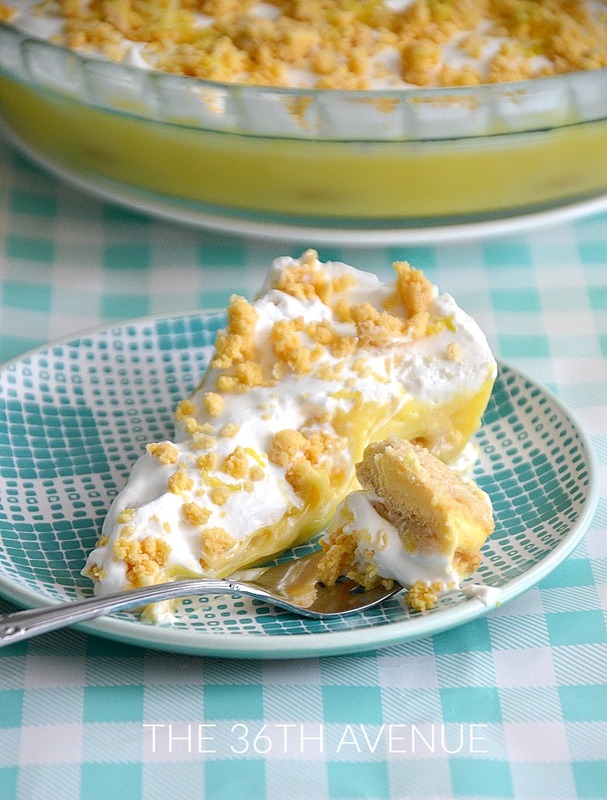 I’m warning you, this Lemon Cream Pie is seriously dangerous. Do you have a favorite summer recipe? If you do please share it with me. I’m always looking for new desserts to add to my recipe book. Key Lime Yogurt Cake – Click HERE for recipe. Just tried the Lemon Cream Pie . It was good. I used cool whip instead of the whipping cream. Loving lemon right now! This pie looks fabulous!